It’s almost here! Finally, the Xbox 720, Infinity, or Durango reveal is right around the corner as Microsoft prepares to unveil the new console next week. Being so close to the official reveal, tons of new rumors are coming out with the latest one being the actual name of the console. This rumor is suggesting that the console will be named the Xbox Infinity instead of the Xbox 720. 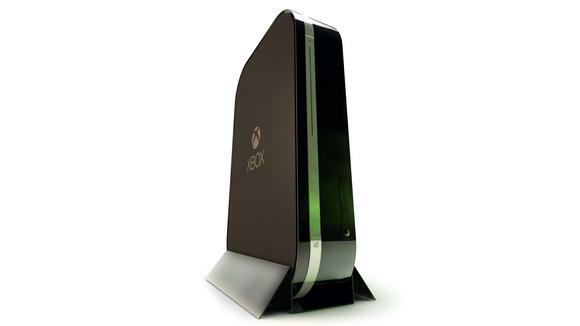 Unlike with the PS4, we have yet to find out what will be the specs for the new Xbox Infinity. First off, there is very little doubt that Microsoft will be using an AMD CPU in the Xbox Infinity with the chip reportedly being called “Oban.” By using these types of chips which are more readily available Microsoft should be able to manufacture individual Xbox units much faster than they otherwise could. There are multiple rumors regarding how the graphics will be processed, with the more popular rumor being that the Xbox Infinity will include two GPU’s. Even those they would likely be AMD-based, they will not function in Crossfire. Instead the idea would be that one GPU would be meant for gaming while another smaller GPU would be used for media playback. According to some recent reports, Microsoft will be using an x86 chip architecture which should allow Xbox 360 games to be played on the new console. If this is true, users will not have to deal with downloading older games through Xbox Live and then pay for them again. There have been multiple reports suggesting that this will indeed be the configuration for the Xbox Infinity, and a Pastebin user claiming to be a Xbox software engineer backed up these rumors but the credibility of that report cannot be verified. Xbox users would definitely love to see compatibility for Blu-Ray disks introduced with the Xbox Infinity and it seems likely that Microsoft would include it. The issue with included Blu-Ray in the Xbox is that the technology was created by Sony meaning that Microsoft would have to pay them in order to use it. While this would be a pain in the neck for Microsoft, it could definitely boost sales as well as increase the amount of users making the Xbox their primary media player. Just like with previous console launches, the Xbox Infinity/Xbox 720 will probably end up costing in the $300-350 range with different variations of the device being available for purchase. Some sources have reported that it would cost $300 but that might end up being too low. However, it is highly unlikely that we would see a bottom-line price much higher than $350. With the official Xbox Reveal date just around the corner, an Xbox Infinity release date coinciding with E3 in June would definitely make sense and appears to be the best time for Microsoft to release their new console – Infinity, 720, Durango, or whatever they end up calling it. Addit: The new Xbox is the Xbox One – click here for a full rundown on Microsoft’s next-generation console.